Miss California United States Pageant is looking for 2014 Delegates! The Miss California United States Organization is preparing for its annual state pageant to be held on May 8 & 9, 2014 in Santa Barbara. Delegates from all over the state will meet in this beautiful historic area in hopes of winning the coveted crown and representing California in the National Pageant held this July in Washington DC. The 2014 Miss California United States Pageant is looking for participants in the following categories; Miss Jr. Teen California United States between the ages of 13 and 15, Miss Teen California United States between the ages of 16 and 19, Miss California United States between the ages of 20 and 29, and Ms. California United States between the ages of 25 through 40. The delegates will be judged in four categories: judges' interviews, swimsuit/fitness, evening gown and stage question. Experience is not required. Keeley Boess, 2013 Miss California United StatesDesigned to raise awareness and money for many local, statewide, and national charities, the Miss California United State Pageant encourages delegates to support their passions through philanthropic endeavors. Much like a diamond refracts light, each woman sparkles by changing the lives of all those they touch. Christina Meredith, our 2013 Ms California, has worked with foster care programs and charities since becoming a state titleholder. Because of sexual and physical abuse, Christina entered the foster system at ten years of age and like most foster kids, she moved over 91 times. She became homeless after "aging out" of the system at 18. Since winning her title, she has toured the country with speaking engagements, written a book, and has become an inspiration to many of the lives she has touched. Keeley Boess, 2013 Miss California United States, who placed in the Top 10 at the Miss United States Pageant, is a certified air traffic controller and works tirelessly supporting Alex's Lemonade Stand to fight pediatric cancer as well as the Rett Syndrome Foundation at the LA Children's Hospital. The Miss California United States titleholders will attend several important events during the month of March including the Susan B. Komen Run for breast cancer on March 1st at Dodger Stadium, ShredFest at the House of Blues on Sunset Boulevard on March 15th, for pediatric cancer, the LA Suitcase Party on March 21 to benefit the Grammy Museum and the dance marathon, Lights Camera Cure!, being held at the Avalon Theater in Hollywood on March 23 to aid pediatric cancer research. 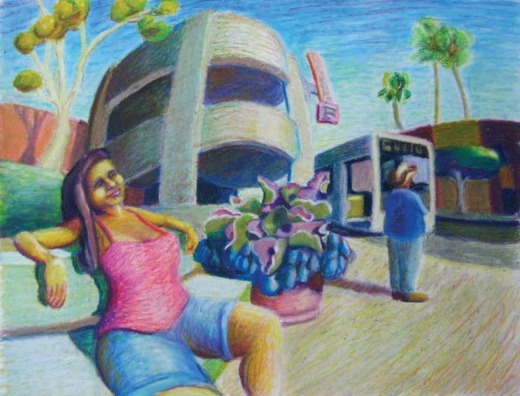 "Gold Coast Transit" oil pastel by Danny LawlorBuenaventura Art Association will showcase works by the top three winners of last year’s Collegiate Student Art Competition in a Jan. 22-Feb. 17 group exhibition at Harbor Village Gallery in Ventura. Danny Lawlor of Oxnard College, Linda Kennon of Ventura College, and Rylann Smith of CSU Channel Islands took first through third places, respectively, in the March 13-April 15, 2013, student show juried by longtime local artist and instructor Bob Privitt of Thousand Oaks. It was the seventh annual scholarship competition sponsored by the artists’ cooperative, which is celebrating its 60th anniversary this year. Lawlor won $800 and his name inscribed on the BAA Emerging Artist Cup for “Gold Coast Transit,” an oil pastel; Kennon earned $600 for “Bad Little Robot,” a graphite image on burned paper; and Smith got $350 for “Eyeris,” a graphite drawing on paper. The three young artists will attend a reception in their honor from 5-7 p.m. Jan. Deadline extended by the City to August 1, 2013 5pm. Photographers of all ages and skill levels are invited to participate in the City of Thousand Oaks “Faces, Places, & Open Spaces” Photo Contest. The photo contest is returning for a second consecutive year featuring a new Instagram category! Photos may be submitted in four categories: Environment, People & Places, Mobile, and Instagram snapshots using hashtag #FacesPlacesOpenSpaces. Winning photos will be judged based on creativity, photo quality, and representation of Thousand Oaks and featured on TOTV, in citywide print and electronic marketing materials, and social media channels. First, second, and third place winners in each category will be awarded a certificate by the Mayor at a future City Council meeting. There is no cost to enter and contestants may submit up to five photos per entry by Mail or drop-off to: City of Thousand Oaks, Attn: Photo Contest, 2100 Thousand Oaks Blvd; Email mobile photos to rwagner@toaks.org; Upload Instagram photos to the Instagram mobile application using hashtag #FacesPlacesOpenSpaces. A signed entry form and participation agreement is required for eligibility and entries must be received by July 1, 2013 at 5:00 PM (EXTENDED TO AUGUST 1, 2013 AT 5PM). Visit www.toaks.org/photocontest for contest details and to download entry forms. 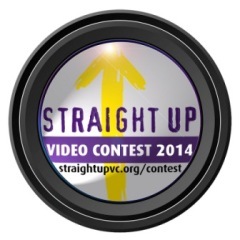 See some of the winners of last year's contest at this link. Share the wonder of the Santa Monica Mountains National Recreation Area and enter the Spirit of the Mountains Photo Contest. Let your photographic imagination capture the essence of this hidden jewel. Open to amateur photographers only. Digital or film prints are acceptable. Entries accepted September 1 - September 30, 2013. Submit only photos of the Santa Monica Mountains Zone. For a map of the zone, contest flyer and more, visit www.nps.gov/samo/photocontest.htm.